History of St. Mary's: 1. Birmingham before 1870. 1. Catholicism in Birmingham before 1870. Birmingham catholics today may look back with deep gratitude to Almighty God for the revival and spread of the old faith in their midst during the past two centuries, despite many trials and obstacles, and derive aspiration and fortitude of their forefathers, who, by their trust in God, tenacity of purpose, and dogged perseverance, have bequeathed to us a noble heritage. For our earliest knowledge of the fortunes of Birmingham catholicity since the Reformation, we depend on the records left by Brother Leo, a Franciscan Recollect, also known as Fr. Leo Randolf, who secretly ministered in the 17th century to the spiritual needs of the catholics living in those parts of Worcestershire, Staffordshire and Warwickshire when they lay around Birmingham. From these “records” we learn that he came from abroad and entered on his missionary life in England in the year 1657. His “Register” of Baptisms, Marriages, deaths and Reconciliations is claimed to be the oldest post-reformation “Register” in England and is now preserved in the Museum at Oscott College. Relaxation of the Penal Laws, under the noble-hearted and much maligned James II, lured Fr. Leo into a false sense of security, and he thought that the time was ripe for Birmingham catholics to emerge into the open. Accordingly he began to collect funds for the building of a church in honour of “St. Mary Magdelan and our holy father St. Francis” being especially encouraged by a precious gift of 125 tons of Royal Timber from Needwood Forest given by King James II. 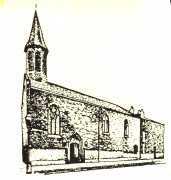 The foundation Stone of the church was laid in March 1867 and the building consecrated by Bishop Gillard, Vicar Apostolate of the Midland District on September 4th 1688. Father Leo’s hopes were sadly dashed when in the following November the church was burnt down by a mob under the orders of Lord Dellamere, and even the foundations were torn up. What must have been particularly galling was that some prominent citizens lent a hand too. Today the only trace of that church is in the name of the street - Mass House Lane, Dale End, and now it is the name of the Ringway and a car park - Masshouse Circus. It is certain that after this event the Franciscans left Birmingham and rented a house in Edgbaston where they ministered to the eight or ten catholics in the district, and began a school for the children, helped financially by Lady Curson of Waterpervy. In this school were twenty or thirty boys and on that site was later established the Deaf and Dumb Institute but the school itself was moved to Mass House Farm in Pritchatts Road, Edgbaston, the name “Mass House” appearing yet again! The school provided the Franciscans with a main source of Novices in the 1700’s. To the Chapel at the school in Pritchatts Road came many faithful catholic families from the town and district, secretly, to hear Mass and receive the Sacraments. Mass House (Farm), Pritchatts Road, Edgbaston, Birmingham. “Mass House”, 6 Pritchatts Road, Edgbaston, as it is today. The Franciscan Friars at “Mass House Farm” decided that it was time to return to the town of Birmingham and in 1786 Fr. Pacificus Nutt was the Pastor of a small Birmingham Catholic flock, and, encouraged by their loyalty and spirit of self-sacrifice, he built the Church of St. Peter, off Broad Street. It stood there until 1970 when its dangerous condition and the redevelopment of Birmingham City Centre meant that it had to be demolished. At that time it was the oldest Catholic Church in Birmingham, 194 years old. A sketch of St. Peter’s Church, off Broad Street, Birmingham. Following the departure of the Franciscan Friars from “Mass House Farm”, Edgbaston, to build St Peter’s Church, off Broad Street, nothing really definite is known about the catholics within the village of Harborne itself. There is a tradition that Mass was said in a small shop in North Street, Harborne, and this was probably possible by one of the Oratorian Fathers from Hagley Road, Edgbaston, where they founded the present church under the leadership of Cardinal Newman in the year 1852. (It was a Passionist Father, Venerable Dominic Barberi who converted Newman to Catholicism.) Whatever the truth there may be in this tradition the old faith, however, was definitely re-established in Harborne by the Passionist Fathers some 18 years later in 1870. In deference to His Lordship’s request the General instructed the Provincial of the Anglo-Hibernian Province, Fr. Eugene Martorelli, to proceed to Birmingham with a Fr. Bernardine, and in April 1870, they visited the Vicar General of the Diocese, Canon O’Sullivan, (who is buried in St. Mary’s Cemetry) and they proceeded to visit a Mr. Morris in Harborne. 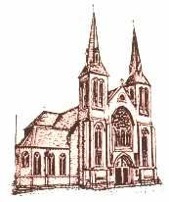 And so it was that the Passionists set up a Parish in Harborne High Street (then called Heath Street) and the story continues on the next page. St. Chad’s Cathedral, the first Catholic Cathedral to be built in Great Britain since the Reformation, opened in 1841.